of Vietnam Le Minh Tri has said. 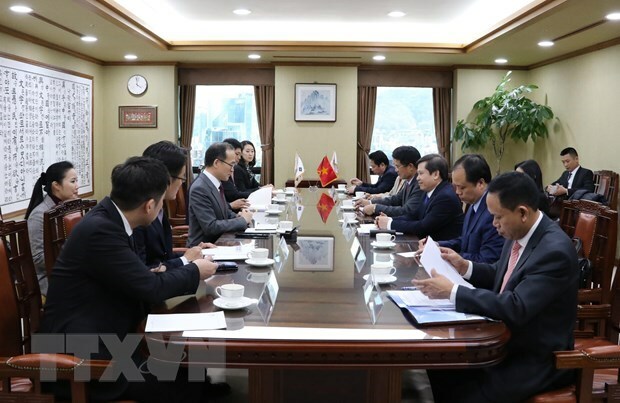 Tri made the statement at a working session with Prosecutor General Moon Moo-il of the Supreme Prosecutors’ Office of the RoK in Seoul on April 15. He said cooperation between the two countries has developed in numerous fields such as politics, diplomacy, economics, trade, culture and people-to-people exchange. However, bilateral collaboration in the judicial field has failed to meet potential, Tri stressed, suggesting both sides intensify cooperation to meet demand for citizen protection and step up delegation exchanges. Moon, in turn, expressed his belief that the Vietnamese delegation’s visit would help develop the two offices’ relations. He affirmed that the RoK is willing to help Vietnam establish and run a digital forensic research centre like the one in his country. To prevent corruption, Moon emphasised the importance of auditing work, and added the RoK will share its experience with Vietnam in this field.